It’s that time when the Poker Hall of Fame lets people into its home. Once again, two non-players have been nominated. There’s a criteria that includes a rule for non-players. They must have made a contribution to the success and expansion of the game, with enduring and positive results. This isn’t the first time that the Hall has used this criterion. A non-player was elected to join in 2014. Jack McClelland, the legendary poker room boss and tournament director was inducted. In the 80s, McClelland was in charge of the World Series of Poker. He was also manager of the Bellagio poker room for over 10 years before leaving his position in 2013. There’s no doubt that a more modern thinking is needed in the Poker Hall of Fame. There have been numerous players who have won millions of dollars playing online in high-stakes cash games. That’s also true of those who play online tournaments. Yet once again, we don’t see any nominations for online players. Tom Dwan was a finalist in 2009 after public support, but that was a rare exception. There’s a lot of money to be made online and many players are enjoying their slice of the pie. New players are being introduced to the world of online poker every day. It’s even easier these days with casino portals doing all the hard work in choosing the best casinos to play at. 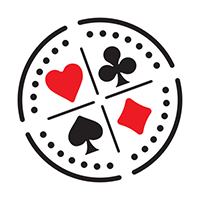 A player might visit Casinofeber, for example, and read reviews of various casinos. He can also see them at a glance, with all bonuses listed. Then he can make an informed decision on which one to play at. The fact is that both online players and non-players deserve more consideration by the Hall. Two non-players were named in last year’s nominations. Widely regarded best player in the world Phil Ivey was inducted instead of one, however. The other player to be elected was the UK’s David ‘Devilfish’ Ulliott. Both choices were difficult to disagree with. This year sees another two non-players on the shortlist. Television producer Mori Eskandani and tournament director Matt Savage are again nominated. It seems like the right time to acknowledge what each of these men has achieved in the game of poker. Savage is among the more famous non-players in the game, thanks to his constant Tweeting. He’s the executive tour director of the WPT and also ran the WSOP when the Main Event was won by legendary Chris Moneymaker. After that famous victory, the game of poker would never be the same again. Eskandani is responsible for some of the best poker shows on TV. He’s the man behind The National Heads-Up Championship, High Stakes Poker and Poker After Dark. He now works for ESPN, producing the live WSOP broadcast. The two men have played a pivotal role in the evolution of poker. 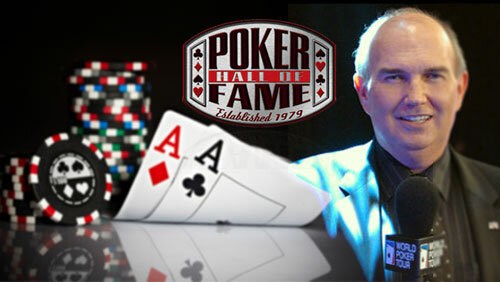 It stands to reason, therefore, that they are recognized by the Poker Hall of Fame. Each of the eight players nominated this year has merit. However, none has achieved more for the game than Savage or Eskandani. Previous inductees who are still with us, as well as the media panel that votes new inductees in, could well feel the need to induct a player. They may choose Matusow in that case. The public will know the name and he meets much of the criteria. They may feel that they have no real choice but to induct a player rather than a non-player. But then they could always take Johnson’s induction in 2011 into account and choose one that’s a bit of both.